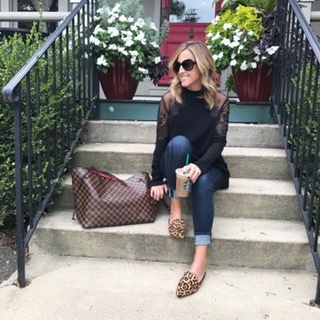 This pretty little top has 2 of the top trends for Fall - mesh and embroidered detail! It's a beauty. A top that can go from running errands to a night out is always a winner in my book. I love having items in my closet that are versatile. This is one of those. It's also available in a gorgeous wine color! I'm wearing an XS which is typical for me in this brand. 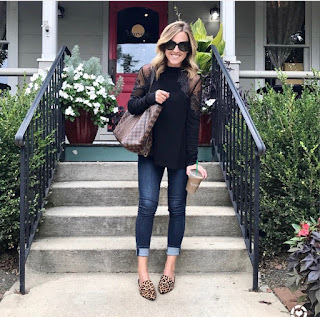 Also - do you have a pair of leopard shoes yet? If not, the mule is an updated, on-trend flat for Fall. 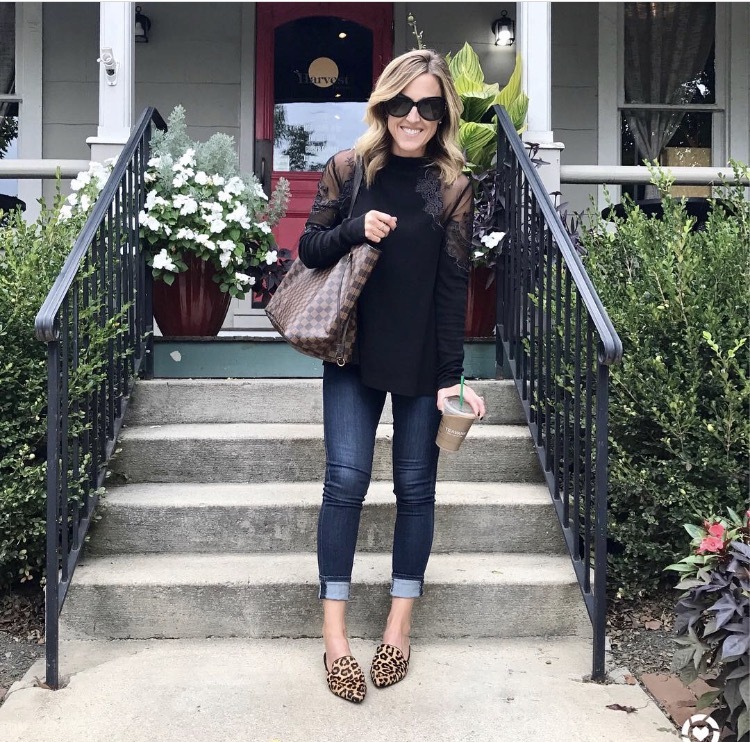 My leopard mule is currently on sale!